Being a part of Team Europe at the Ryder Cup was an experience like no other for Britain’s Tommy Fleetwood. Tommy Fleetwood insists nothing can fully prepare a golfer for the challenge of playing in the Ryder Cup. 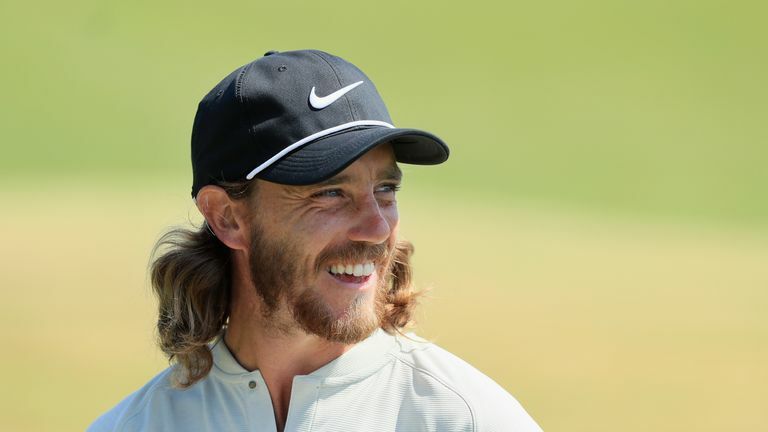 Fleetwood was one of the stars of Team Europe's landslide win over Team USA in Paris earlier this year, becoming one half of the duo nicknamed MoliWood after claiming four points out of a possible four alongside playing partner Francesco Molinari. It was the 27-year-old's first taste of Ryder Cup action and Fleetwood says the memories created at Le Golf National in September will live with him forever. "It's difficult to sum it up," Fleetwood told Sky Sports News. "It's an experience that no matter how much you put into it, no matter how much you think about it, and no matter how much the other players tell you about it, you can't be ready for. 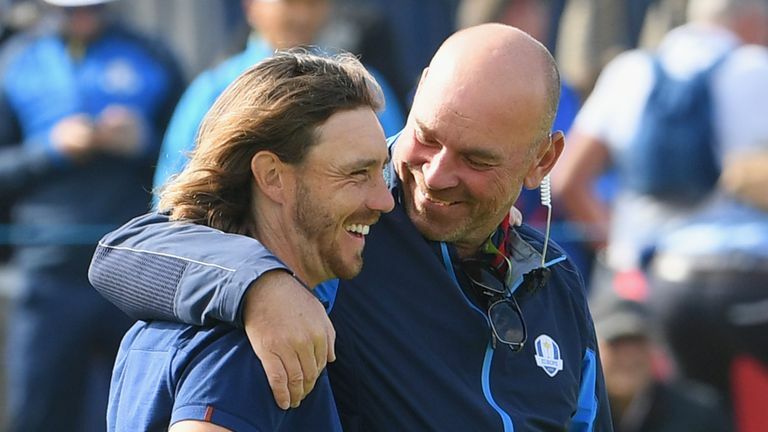 Thomas Bjorn believes major success will be Tommy Fleetwood’s next target after his Ryder Cup heroics with Team Europe. "You can't believe what a family you all become that week, and the thing that sticks is how together everyone is and how much you play for each other. "For me, I felt really emotional for how much you wanted it for each other, how much we played for each other and how much heart goes into it for this massive family that was Team Europe. "The experiences - especially for us in such an individual game - are memories and feelings that you cherish." Fleetwood made the perfect start to 2018 with a successful defence of his Abu Dhabi Championship title in January but, despite 10 top-10 finishes, that proved to be his only tournament win of the year. "It all seemed so simple! That was cool and it's a massive bonus to start the year strong," he said. "After the biggest year of my life. It would be so easy to rest on your laurels and just enjoy that for a little bit, so I really wanted to come out strong and I happened to win. I think that was really important."